In an unbelievable incident, the bodies of a Swiss couple have been discovered above the Les Diablerets resort in the Swiss Alps. Interestingly, the couple went missing from the last 75 years. Marcelin Dumoulin and his wife Francine on 15 August 1942, disappeared on the way to milk their cows on a mountain pasture above Chandolin in south-west Switzerland. Marcelin, 37 was a shoemaker and Francine, 37 was a teacher. They had seven children, five sons and two daughters. The bodies were discovered by a driver, who was driving a truck on the glacier when he spotted the couple in the ice. 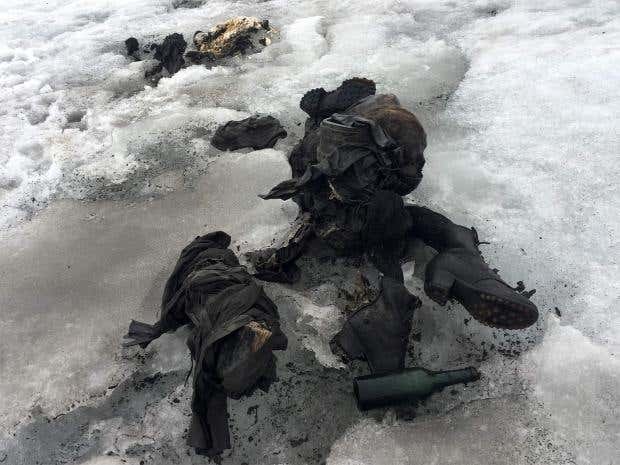 They were wearing World War II-era clothing and were perfectly preserved in a shrinking glacier. She concluded in a beautiful and emotional way by saying that she would wear white, not black on the burial of her parents as the white stands for the hope which she never lost.